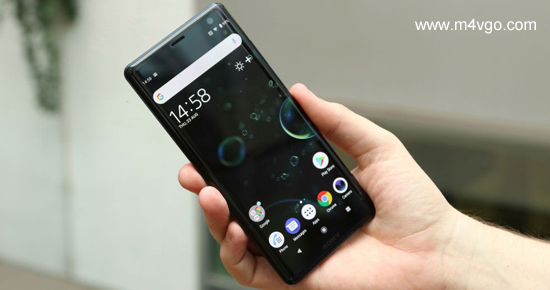 I have purchased a Sony Xperia XZ3 because of its 6-inch 2960 x 1440 display and big internal storage so that I can make video entertainment more enjoyable by using this big Xperia smartphone. When I import purchased and rented iTunes movies to Xperia XZ3, I discovered I made a low-level error that Sony Android smartphone is not compatible with iTunes movies and TV shows directly. Is there any way to play iTunes videos on Xperia XZ3 losslessly? If you are one of the Sony Xperia phone users who also love to purchase and rent movies and TV shows on iTunes store, you might have met the same playing issue mentioned-above. Fortunately, every question always comes with a wonderful answer. In this article, I will show you the detailed tutorial on how to make iTunes movies and TV shows playable on Xperia XZ3. Sony changed things up for the XZ3 though. The Xperia XZ3 comes with a 6-inch screen offering an 18:9 aspect ratio but Sony has opted for an OLED panel on the new flagship, moving away from LCD. The screen is also curved at the edges, allowing for a new feature called Side Sense – more on that a little further down – and Sony also finally jumped on board the Quad HD+ train. The Xperia XZ3 has a resolution of 2960 x 1440 pixels, resulting in a pixel density of 568ppi. The Xperia XZ3 comes with the Qualcomm Snapdragon 845, the powerful chip that’s powered many of this generation’s most powerful phones. When you open your Xperia XZ3 smartphone, you will discover that there is no iTunes app in this Android device, which meaning that you can’t authorize iTunes account and play iTunes movies on Xperia XZ3 phones due to DRM technology and different video format. Under this circumstance, in order to play iTunes DRM M4V movies on Xperia XZ3, you can retort to an iTunes DRM removal tool that can help you convert iTunes M4V to Xperia XZ3 best playback formats while removing DRM from iTunes purchases and rentals. 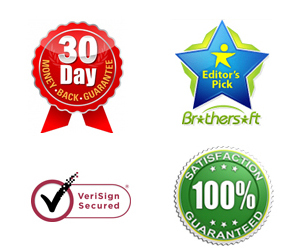 M4VGO is such professional software, which is specialized in breaking DRM protection from a wide variety of iTunes videos, including iTunes movies, TV shows, iTunes Extras, etc. Apart from an iTunes DRM remover, it’s also an all-in-one iTunes media converter. 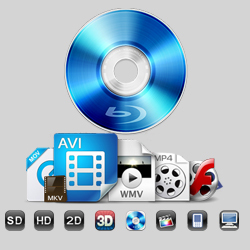 It can convert iTunes DRM M4V to multiple video and audio formats, like MP4, MOV, AVI, MP4G, MKV, etc. Please follow below simple steps to learn how to use this iTunes to Xperia XZ3 Converter. For playing iTunes movies on Sony Xperia XZ3, we can convert M4V to Xperia XZ3 compatible MP4 format. You can directly drag and drop downloaded DRM iTunes purchases and rentals to the main window of iTunes to Xperia XZ3 Converter. Or you are able to choose favorite iTunes files from iTunes library by clicking the “Add File” button. Please click the “Format” button to open a new window, where you can see a wide variety of output audio and video formats and choose the favorite video format as the output format for Sony Xperia XZ3. Also, you are allowed to customize the movies such as audio track, subtitle, bit rate, frame rate, etc. The last step is to click “Convert” icon, Xperia XZ3 iTunes Converter will start to convert iTunes movies while breaking DRM lock. The conversion time depends on how many files you imported. How to transfer videos to Xperia XZ3? Congratulations! You can locate iTunes unprotected video files on destination folder on your computer. You can convert these iTunes movies to any wanted device. As for watching iTunes movies and TV shows on Xperia XZ3, you can transfer them to Micro SD card via USB. Now, there is a simple yet professional way to convert iTunes purchases and rentals to Xperia XZ3. Step 1. Connect your computer with Xperia XZ3 via the data cable. Step 2. On your Xperia XZ3 phone, there is a prompting that are you going to turn on the USB debug mode, please click “OK” button. Step 3. Open the file manager of your computer and discover the Video folder of your Xperia XZ3, now you can copy and paste converted iTunes videos from your computer to the Xperia XZ3 smartphone directly. Now, it’s time for you to enjoy iTunes movies and TV shows on Xperia XZ3 for playback. If you have some other great ideas or some questions about watching iTunes video files on Xperia XZ3 phone, please feel free to leave a comment in the comment area.